A familiar face for years on our Pohutukawa Coast, Karen lives locally with her husband and three girls. She had the opportunity of joining the real estate industry back in the very early 2000’s and for many years has enjoyed the pleasure of meeting new people and enlightening them on the truly fantastic lifestyle on offer on our beautiful coast. Having worked over the years in our coastal area and the broader Eastern beaches/Howick areas, Karen brings experience and skills learnt in an extremely fast moving market while working alongside top preformers. A recent achievement of Karen’s is the sale of the Titoki Lanes sub-division sections in Beachlands, where she spear-headed 43 sections sales over a well implemented marketing plan including a buyers choice on-site auction which captured the watchful eye of the media with TV1, TV3 and Radio-live coverage on it. 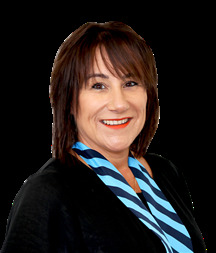 After years of successfully marketing and selling properties, her focus now is developing the local Harcourts office ensuring they offer an un-surpassed level of service, and supporting and growing her team of sales people, a role she takes seriously and one she has comfortably stepped into and thoroughly enjoys. With her relatives, the Wade’s, first settling in Whitford in the 1800´s and having lived there for 28 years herself, Amy-Rose knows what it means to be a local. She has a wealth of knowledge of the area, a passion for her community and a dedicated interest in the Real Estate market. 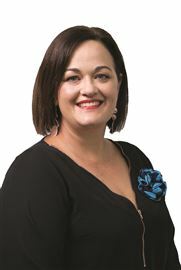 Amy-Rose has a huge admiration for the Pohutukawa Coast and cherishes her unique experiences of being brought up with country living. Her diverse history includes achieving at sales and marketing, design, hospitality services and business ownership, management and operation. Throughout Amy´s career, she has always strived for the best possible results for her clients, earning their trust and admiration with her determined work ethic. Amy-Rose is success driven with an open minded attitude, keeping her clients involved every step of the way, creating a smooth transaction in the process of buying or selling their home. Amy-Rose is a proud member of the dynamic sales team at Harcourts Beachlands. Admiring their high level of professionalism and ability to work together as a single unit, Amy is committed to being an integral part of the Harcourts team. Stephanie is a young woman with a purpose. Grounded in administrative and sales experience, she brings a sense of order and a professional eye to detail that is now such an essential part of real estate success. This experience has taught her systems and procedures while business management has taught her how valuable both communication and trust are and this naturally flows into her real estate business. Underpinning all this experience, is Stephanie’s attitude to life; hardworking and determined would be just a couple of the words used by others. Others would talk of Stephanie’s desire to do the very best for her sellers and buyers, for she is a true professional sales consultant who understands that those who entrust their real estate business to her need to be given uncompromising support and communication. She understands so clearly the four big aspects of our business; doing the right thing for her clients, putting people first, listening and responding promptly and finally about working hard until after the job is done. You can rely on her to make the process of buying or selling your home as stress free as possible. Those that choose Stephanie will not regret the decision, her desire to succeed is only matched by her commitment to serve. 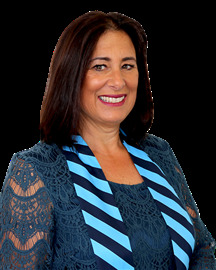 Stephanie is proud to be a member of the Harcourts Beachlands dynamic team. Their respect for each other and ability to work together is the reason why Stephanie chose Harcourts. I have lived in Maraetai for over 10 years and am very passionate about the area we live in on the Pohutukawa Coast. I have always had a genuine interest in the Real Estate market and are thrilled to be working back in the local community as part of the Harcourts team.